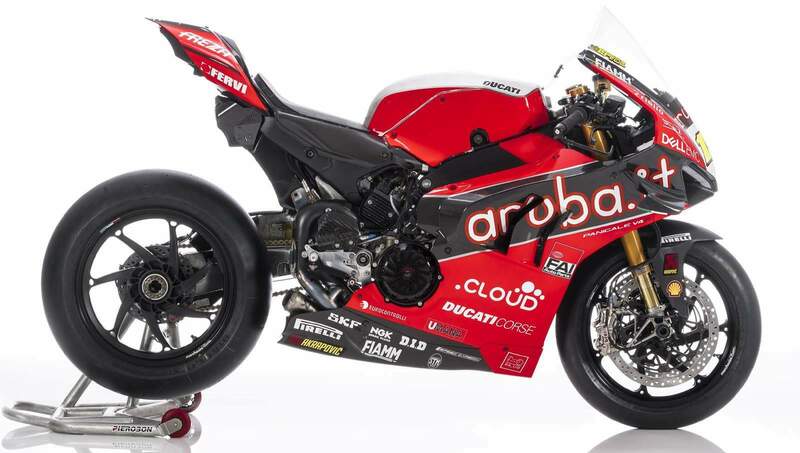 This is the Aruba.it Racing Ducati Superbike that will be racing in the 2019 FIM World Superbike Championship. 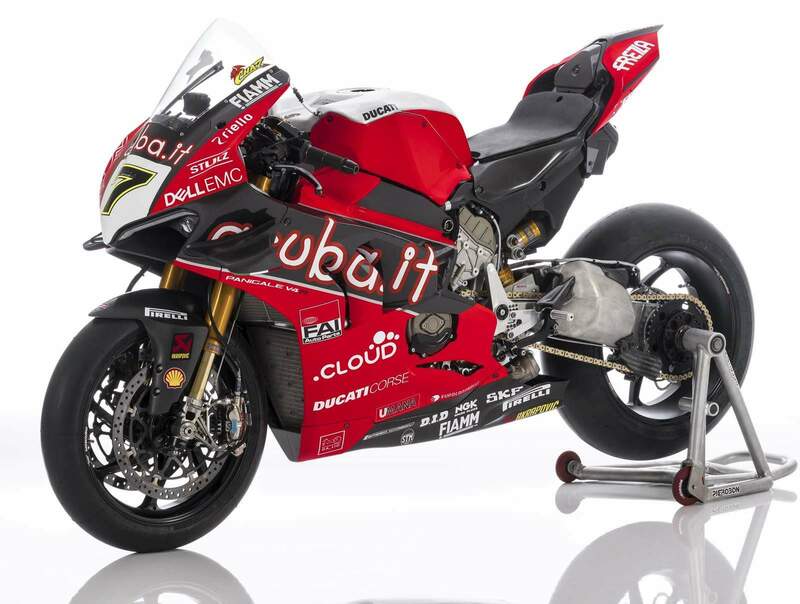 For the 2019 World Superbike season, Ducati will campaign the new Ducati Panigale R V4 superbike, which will be ridden by Chaz Davies and Alvaro Bautista. 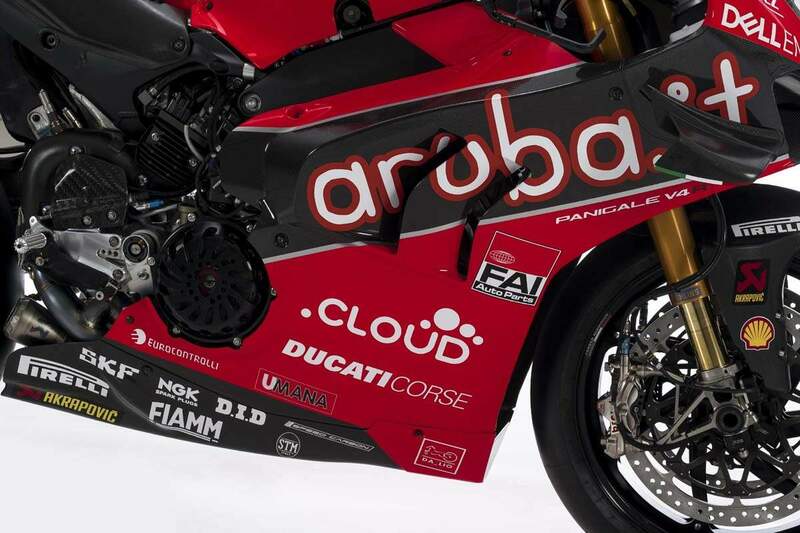 The Aruba.it Racing - Ducati team for the 2019 Superbike World Championship was presented inside the futuristic surroundings of Aruba’s Global Cloud Data Center at Ponte San Pietro near Bergamo. 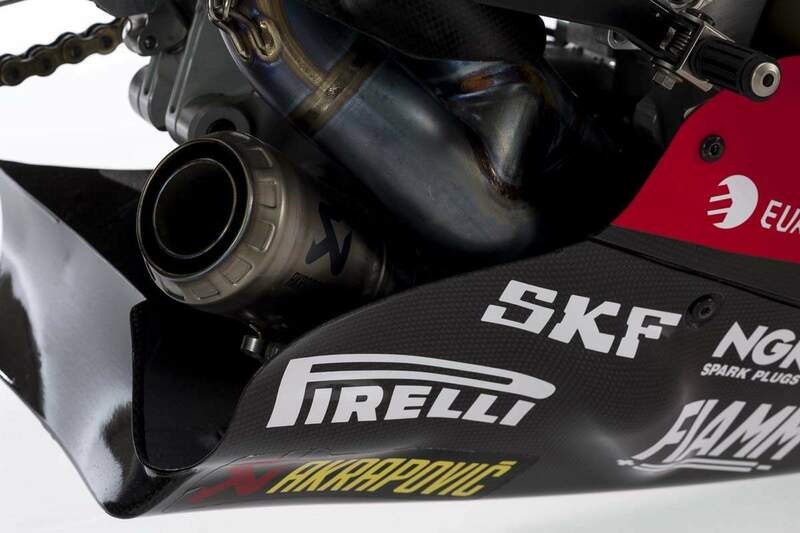 There are two major changes for the Italian team – regarding both the bike and the riders – as it lines up for the 32nd season of World Superbike racing. 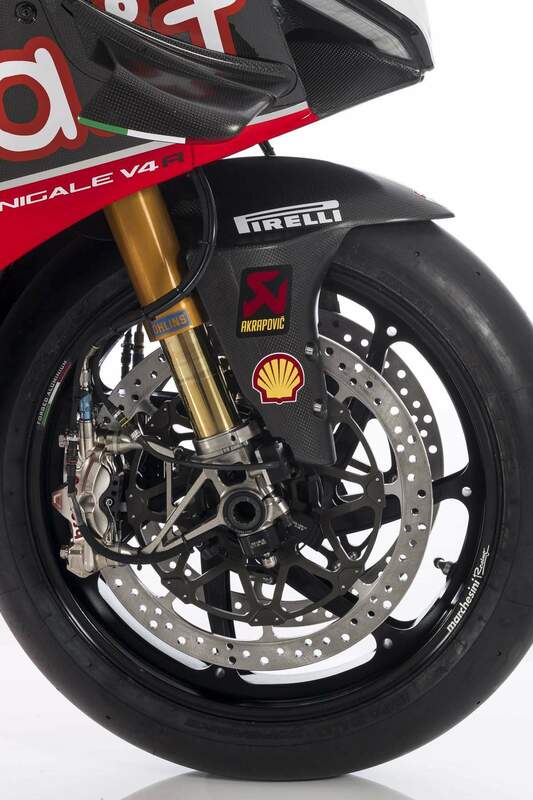 On a technical level, the 2019 season marks a historic turning-point for the Borgo Panigale manufacturer. Present since the very first edition of the world championship back in 1988 and winner of 17 Manufacturers’ and 14 Riders’ titles, Ducati will be racing a four-cylinder Superbike for the very first time – the Panigale V4 R – derived from the road bike presented at EICMA in November last year and acclaimed by the visiting public as a masterpiece of ‘Made in Italy’ style, technology and performance. 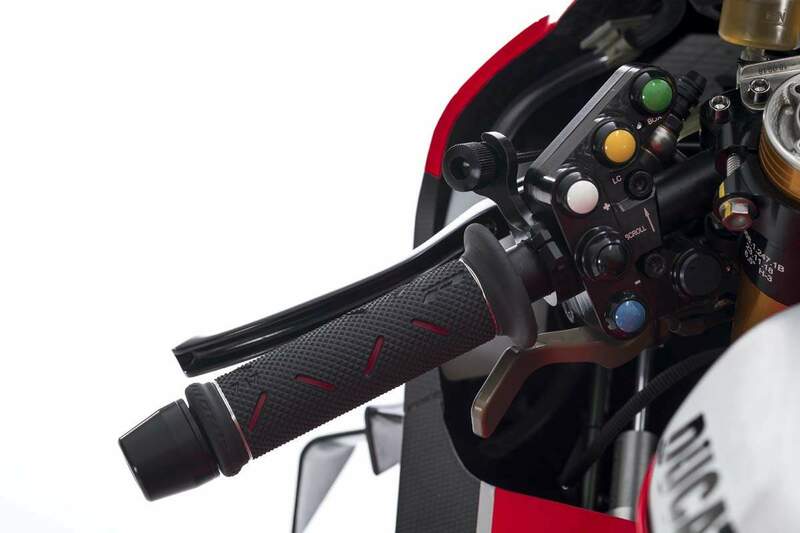 The Panigale V4 R – developed on the basis of experience accumulated in MotoGP – features a number of evolutions from the previous model, not only from an engine point of view, but also in terms of chassis, electronics and aerodynamics. 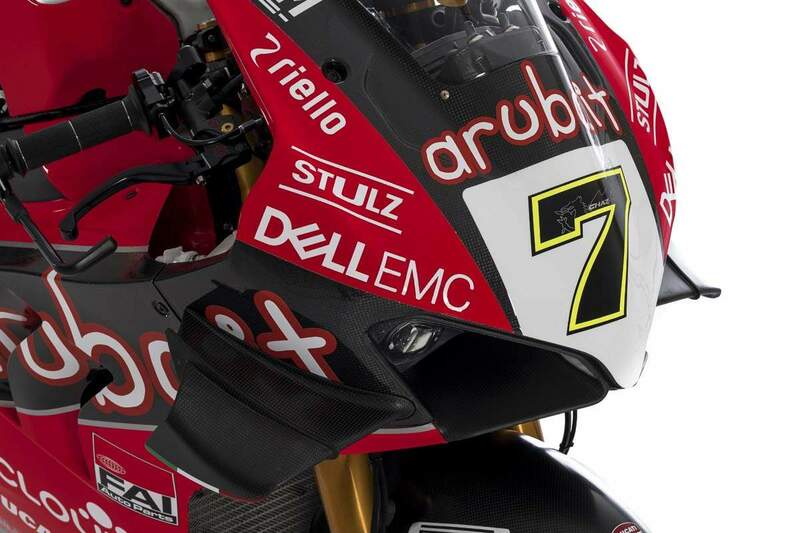 As testament to this historic moment for Ducati and Aruba, the unveiling of the Panigale V4 R on the stage was carried out personally by the two CEOs of their respective companies. With regard to the riders, the arrival of Álvaro Bautista is equally significant, the Spaniard highly motivated and ready to face a new professional challenge in Superbike after nine years spent racing in MotoGP. The 34-year-old from Talavera de la Reina is a rider with considerable experience, having also raced in 250cc and in 125cc, the category in which he won the title in 2006, and he has rapidly adapted to the new technical scenario. 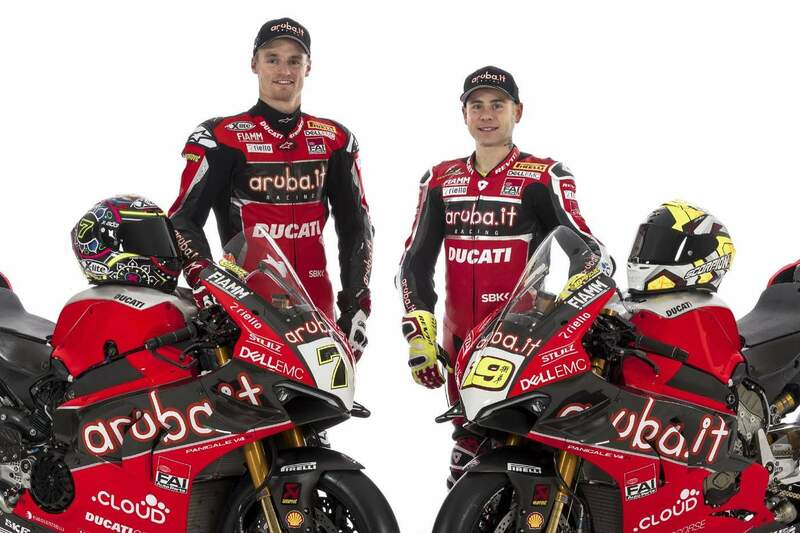 He will line up alongside the 31-year-old Welshman from Knighton, Chaz Davies, three-time championship runner-up in the last four seasons, who has put the past year’s bad injuries behind him and who will tackle his sixth successive season in Superbike aboard a factory Ducati.